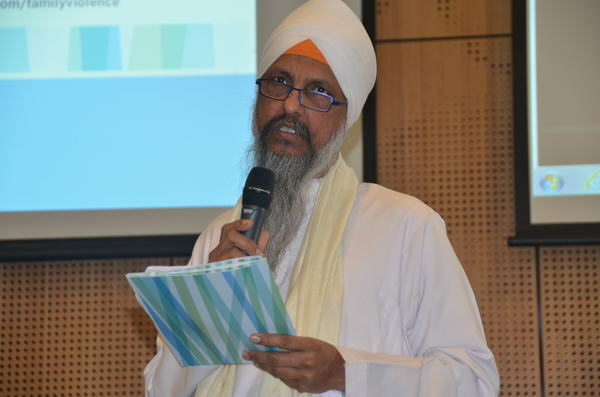 Jasbir Singh Suropada, from the Sikh Interfaith Council of Victoria, was one of the spiritual leaders who helped compile the family violence resource kit. FAITH leaders are playing a pivotal role in tackling family violence. A number of these leaders, councillors and activists gathered at the Dandenong Council Chambers on Wednesday to launch the Family Violence Prevention Resource kit – the culmination of the Challenge Family Violence project. 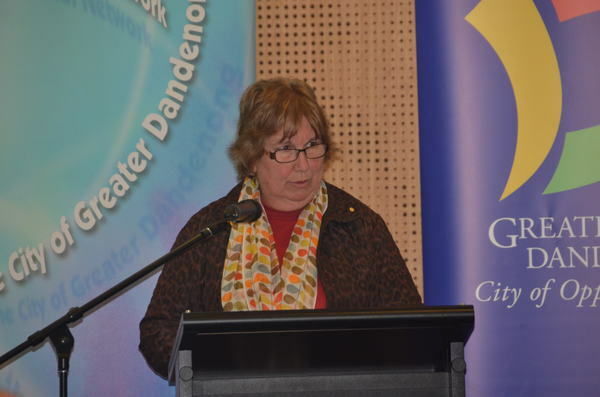 The challenge project is a three-year partnership between Casey, Cardinia and Greater Dandenong councils, with funding currently scheduled to finish at the end of 2015. The resource kit, entitled ‘Promoting Equality and Respect: An interfaith collaboration on preventing family violence’, includes fact sheets, faith perspectives, legal service, support contact numbers, and more. It was funded by the Department of Justice and Regulation and supported by Monash Health and the three councils. Joining Dandenong mayor Sean O’Reilly and Dandenong Interfaith development officer Helen Heath to talk to guests at the launch were a number of influential faith leaders including Father Jean Mawal from the Antiochian Orthodox Church of St Paul’s, Jasbir Singh Suropada from the Sikh Interfaith Council of Victoria, Suleyman Sahingoz from the Emir Sultan Mosque in Dandenong, Jacqueline Russell from the Brahma Kumaris Centre for Spiritual Learning, and Sheiny New from the Jewish Taskforce Against Family Violence. “We recognise that the faith leaders within our community play a pivotal role in modelling attitudes and behaviours,” Cr O’Reilly said at the launch. “We also know that they are called upon to provide guidance and grassroots care to individuals. Dandenong community development officer Crystal Bruton, who was pivotal in putting together the resource kit, explained the importance of including the ‘faith perspectives’ section in the resource kit. “We invited the community faith and spiritual leaders who have contributed to this project to provide some references to religious texts or particular values that underpin their faith tradition,” she said. Ms Heath paid tribute to the community elders and volunteers for refusing to bury their heads in the sand in the face of such a confronting issue. “One of the things that the leaders here appreciated is working alongside each other, because it’s not easy talking about some of these issues and the challenges,” she said. If you or someone you know is experiencing family violence and needs support, you can contact 1800 RESPECT (1800 737 732).